For a long time, Bitcoin has stood the test of time as the most profitable crypto to mine, and thousands of miners have set up bases all across the world. Hardware manufacturers have developed equipment specifically designed for BTC mining. However, the current trend seems to be shifting the favor away from the top crypto. Since the market went bearish after the BCH hard fork happened, the value of Bitcoin has dwindled, and with it hundreds of other cryptocurrencies. For crypto miners to make any profits, their operations must first break even. This puts into account the capital invested in set up mining rigs and the power consumed. If a miner can’t break even, then they’re running at a loss. This has been the dilemma faced by numerous Bitcoin miners since the price took a hit. As a matter of fact, hundreds of miners have since shut down operations. Some have even sold their mining hardware, signaling a growing sentiment about the uncertainty of Bitcoin’s future in the face of bear market fueled by a civil war between its own hard forks. In 2017, BCH was forked out of BTC. On November 15 this year (2018) BCH underwent its own hard fork that resulted into BCHABC and BCHSV, sparking a hash war between the two. BCHABC has since won and has been recognized as BCH. When the BCH hard fork happened, miners shifted their resources to mine the new blocks. Since Bitcoin’s price started falling, mining BCH and BCHSV has become more profitable and therefore more attractive. The interesting part is that just two weeks ago, mining Bitcoin was 300% more profitable than mining BCHSV. Today, mining BCHSV is 25% more profitable than Bitcoin. This presents a rather interesting scenario because the said profitability will still increase if Bitcoin’s price goes up. It’s a fact that BTC takes the rest of the market wherever it goes. As such, it would be interesting to see whether the top coin finally claims back its number one spot as the most profitable to mine among its 3 variants. 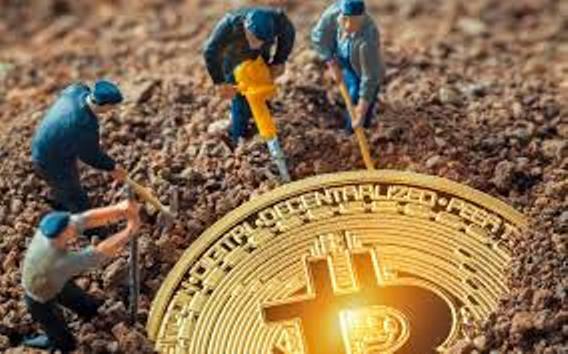 As is evident from the current Bitcoin mining situation, there’s more to profitable mining than just a crypto’s market price. The hashrate, network difficulty, and block rewards are some of the most significant factors.